I had to save my favorite baby item for last! What a wonderful couple of months we had here at A Mom’s Impression. I loved bringing all of these wonderful baby items to you with amazing giveaways as well. All of these products are going to make welcoming baby girl in May so much easier. I do have a couple of more products that I will share this month, but for my grand finale, I am bringing you the baby item I could not possibly live without! When TJ was born, I didn’t really know what to expect. 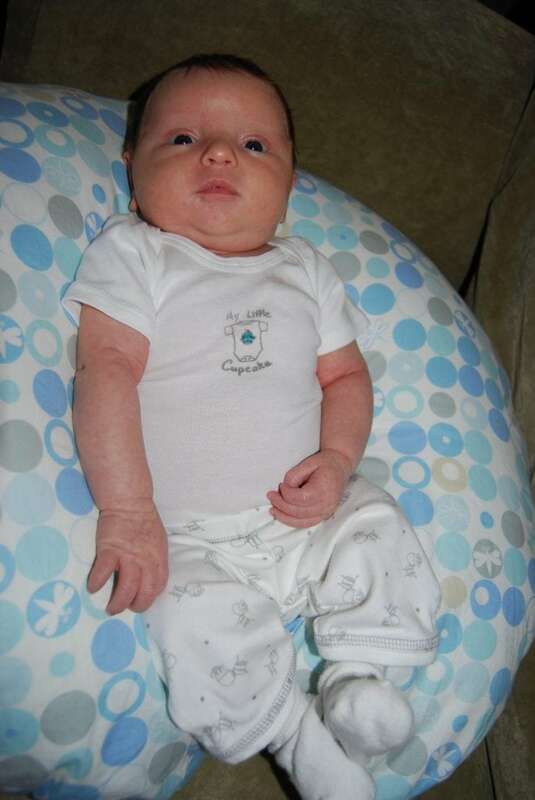 I was a first time mom, and really in our family he was the first newborn. I didn’t know what products I would use, so I did a little research. This is how I decided to blog about product reviews. I knew from my research that I needed to get a breastfeeding pillow, and the Boppy received the most accolades so I decided to put that one on our registry. While breastfeeding didn’t work out as planned (I ended up pumping the entire time), I couldn’t have lived without the Boppy. We had TJ laying in the Boppy everywhere. When we went on the plane to visit my family, the Boppy came with us. When TJ needed some extra support, we would run and get the Boppy. At the hospital when I was trying to breastfeed, the Boppy was an essential item that helped me get through it. When he was on our laps, we used the Boppy to support his little head! This product is very versatile and practical which probably has something to do with it winning the the number one baby product for the 9th time by readers of American Baby magazine! The Boppy has been around for a little while, but what I love about this company is that they are always updating their products and improving them. The Boppy Pillow used to have to be thrown in the wash in order to get it clean, now they have removable covers in a very large assortment of fabrics and designs to choose from. With TJ, I got a “Three peas in a pod” design that was adorable! I also went and purchased a spare cover for when I was washing his usual one. 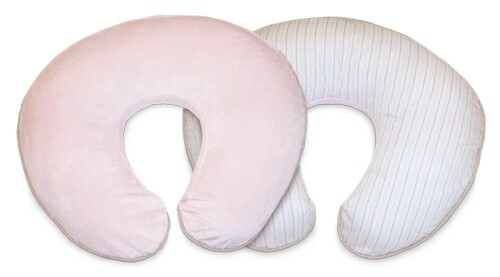 Boppy recently created a travel pillow for moms on the go! I wish I had that for our plane trips with the baby, but I do know that the original Boppy also travels well. I also have a couple of other Boppy products that I love, the body pillow and these pads that save my changing pad from having to be washed about 4 times a day! I really couldn’t live without them! Unfortunately, I haven’t been able to find them this time around. For little girls arrival, Boppy was kind enough to send me a Boppy pillow with an additional slipcover. I had such a hard time picking out what slipcover I wanted because of all the options available. I think there are over 25 different covers that you can find for your Boppy. I wanted something very girlie this time around so I picked out the Soft Pink Stripes Signiture Slipcover. This cover features brown and pink stripes on one side and soft pink minky fabric on the other. Perfect for any little girl! I love the pink owl print that came with my Boppy Pillow. It is exactly what I wanted, very girlie! 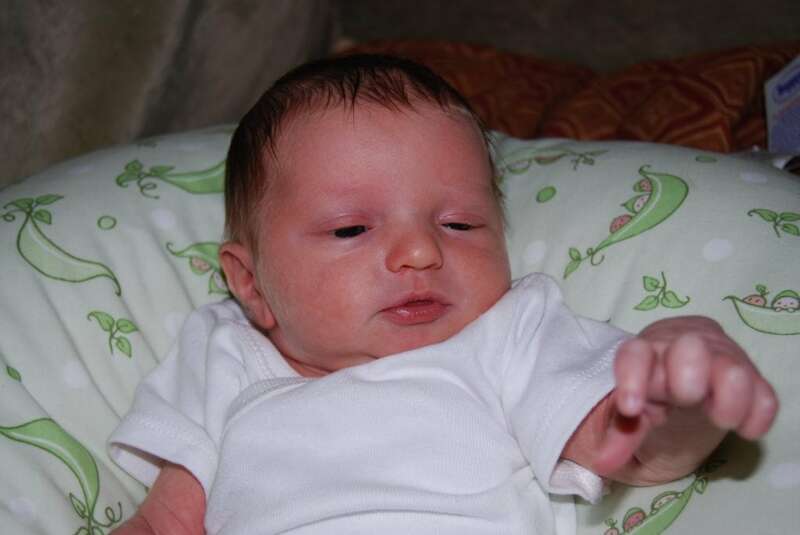 Last time I gave birth I made my husband run home and grab the Boppy Pillow. This time I know better and will be packing it in our suitcase for our trip to the hospital. I will make room! So… now that you know why you need this pillow, here is your chance to win one for yourself! 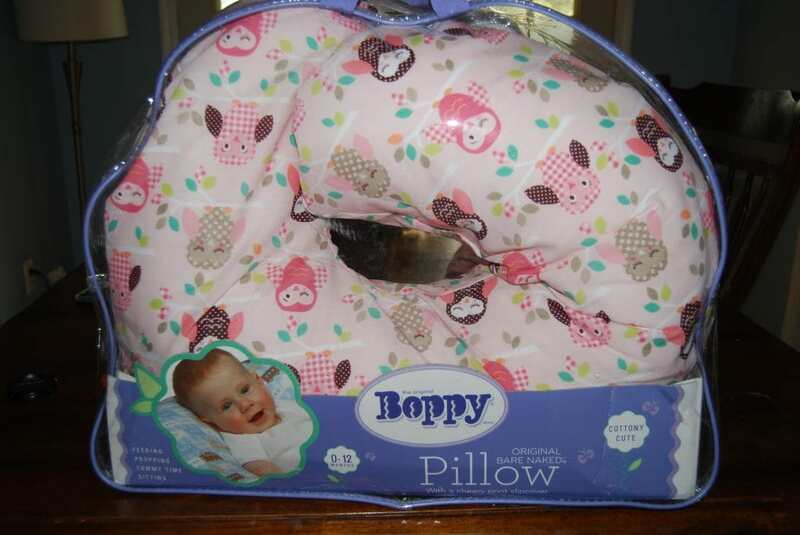 One (1) lucky reader will win a Boppy Pillow and their choice of slipcover from Boppy! This giveaway will end at midnight on April 20. Winner will be picked from Random.org. Open to US residents only. Good Luck! A huge thank you to Boppy who provided the products featured in this post. This review is my honest opinion and is not influenced by any other source. I would choose the Comfy Jersey Flutterby Slipcover. I would choose the Animal Playground Slip Cover. I would pick the organic forest slipcover! I love our boppy!!! I like the fun spots. I love the ladybug lane slipcover! I think I’d pick the Jungle Jumble cover I like that it has two different sides. I love the Comfy Jersey – Tweetheart Slipcover. the jungle jumble would fit my nursery theme perfectly! I like the Organic Forest cover. I like the organic forest slip cover. I like the Organic – Elephant Parade Slipcover. Thanks for the chance to win! I would choose the Palm Dots. I would choose the Palm Dots Slipcover! I would choose Ladybug Lane. I love the ladybug heirloom collection!! My fav! SlideLine – Animal Playground is my favorite! I love the Organic Forest Slipcover! The tree design is neutral and I love anything organic! My favorite is the slideline animal playground! I’d pick the Organic Forest Slipcover! I’d pick the Jungle Jumble. I love the Simply Stylish – Polka Stripe Sage Slipcover! i like the owl slipcover you got. I would choose the Fun Spots Slipcover! I’d choose the organic peapod! I like the Elephant Parade Slip Cover! I would pick the Heirloom – Palm Dots Slipcover. I like animal playground cover. I would choose the Elephant Parade Slipcover. I would chose the Comfy Jersey – Calico Elephant Slipcover.